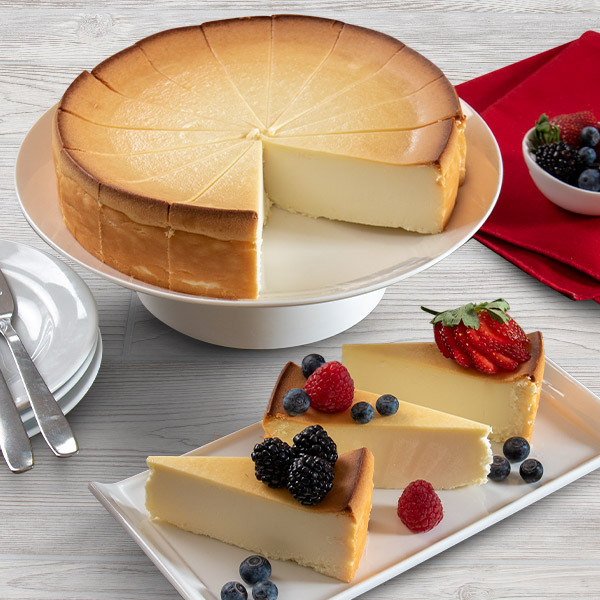 Our gourmet New York Cheesecake gives the classic dessert a decadent upgrade. Delicate flavors of fresh cream, sugar, and a hint of lemon balance the velvety richness for a simply sophisticated experience. 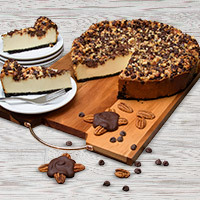 Amazing to devour on its own or with your favorite toppings, tantalize the gourmet palate in your life with this 9", 60 ounce cheesecake gift! The cake was light and creamy. It was totally enjoyed by my entire family. Well worth the purchase price. The cake was a birthday gift. The recipient said it was "the real deal" and wants it for his next birthday. I did not get to eat any. I sent it to my family in Michigan who were having their yearly family birthday celebration. WOW...was it a hit. Thanks so much. I picked the perfect gift. It got rave reviews. Everything went great and they even checked that my friend received the cheesecake! While the flavor was wonderful, the texture is creamy. If you're looking for the dryer, aged New York Cheesecake, this isn't it. But it was very good quality and enjoyed. 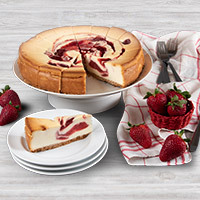 I always order cheesecake from here online to send my love to my boyfriend every ocassions and he loves all the cakes! Keep it up! Very pleased with the flavor and texture. Would order again. Great crustless cheesecake for my gluten free son's Birthday! loved it! We saw you guys on TV. We ordered and tasted it. It was so deliciously smooth and heavenly tasting! Very yummy! Will order again.